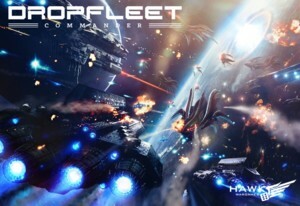 Dropfleet Commander is planetary invasion wargame designed and produced by Hawk Wargames. Players command destructive fleets of void capable ships and battle for control of planets, fighting for the future of mankind itself! You will take command of orbital battle fleets vying for control of the Cradle Worlds; Humanity’s home planets for hundreds of years, now under the tyrannical control of the parasitic Scourge race.